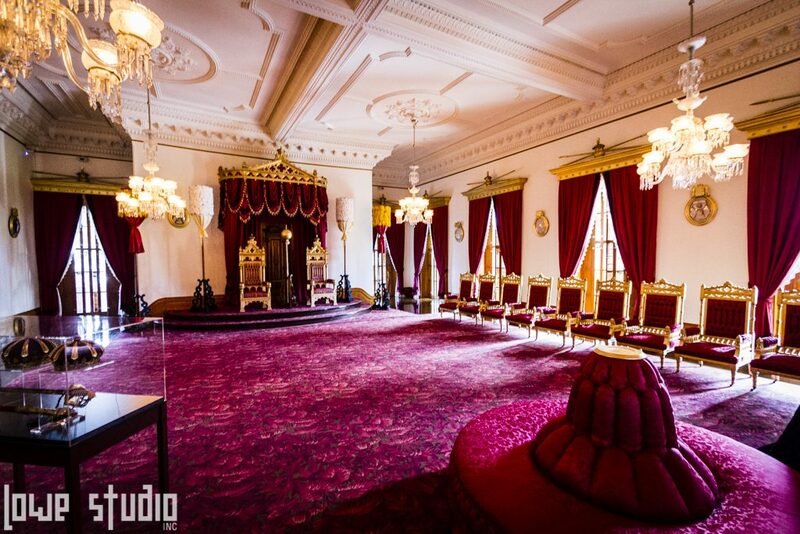 When offered to go on a genuine work-related field trip to ‘Iolani Palace, I jumped at the opportunity. Here was my first real field trip (lunch included) opportunity since my elementary school days. Sure, I’ve chaperoned some of my child’s trips out recently…but here I was given the opportunity to check something out for my own benefit. I thought it would be the perfect chance to see how well my photography skills have progressed too…last time I visited the Palace they didn’t allow interior areas to be photographed, but now they do. You just can’t use any flash. So I busted out my camera and jumped on the bus for this all-day trip. I didn’t realize how many local Kama‘aina had never visited the Palace. 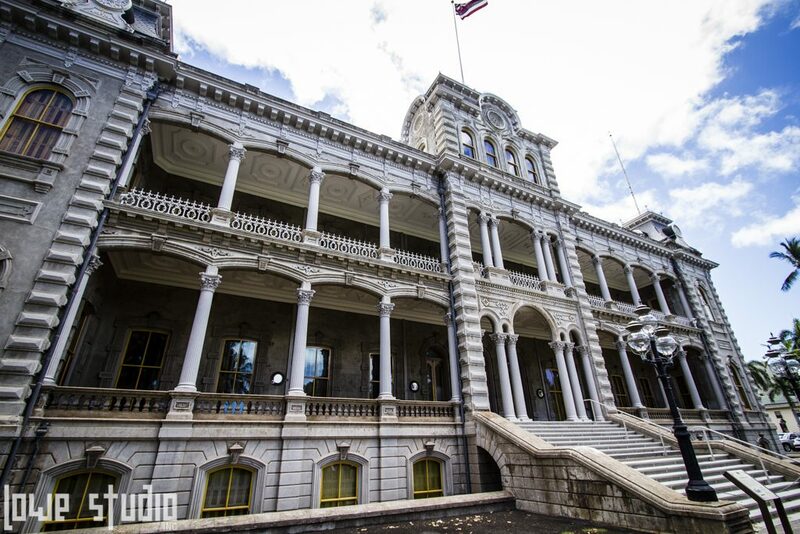 It sits right in the heart of Downtown Honolulu so it’s almost impossible to pass this landmark on a daily basis. 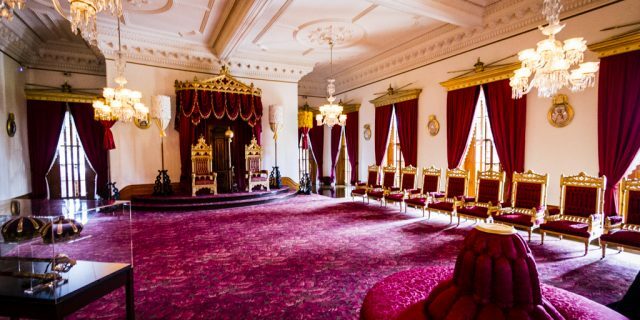 For those of you not in-the-know about this Hawaiian landmark…‘Iolani Palace was the official residence of the former Hawaiian monarchy. For its time, it was intended to be a modern marvel…bathroom plumbing, telephone, electric lights, etc. 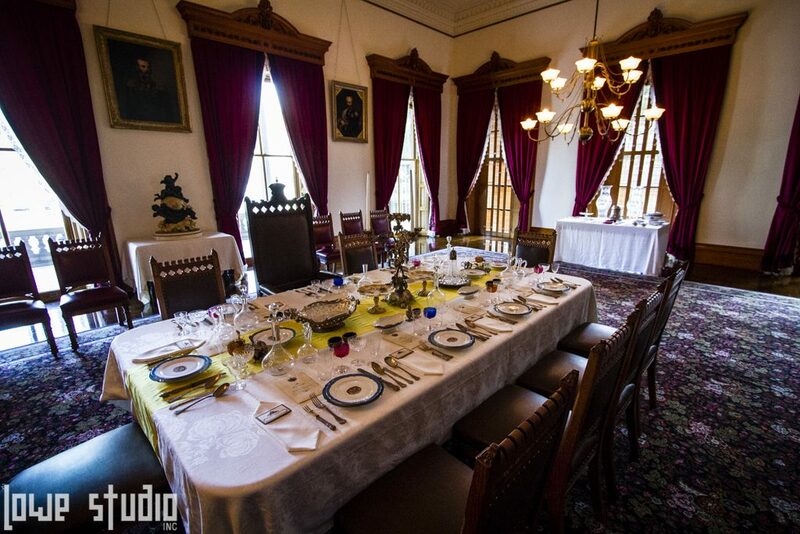 Very beautiful dining area for entertaining dignitaries. I probably couldn’t vouch for the accuracy of my Palace knowledge, so it’s best you check out their website yourself or go on the tour. You’re on a walking tour, so I had to either enter the rooms first or be the last to leave if I wanted to get shots that were void of the other guests. I wanted to be respectful of the tour docent and the other guests so they didn’t hear the “click click” of my camera. It’s very quiet in the Palace, there’s several tours conducted at the same time so it’s often very hush in there like a library. It was pretty dark in there. Most of the lights came from very weak electric chandeliers in there and any natural lighting coming in from outside. You can’t use flash, so be prepared to take a camera that can handle very low light. I had my camera up to 2000 ISO at some points. I knew going in that couldn’t take in my tripods or monopods…they make you wear booties on your shoes so you don’t scuff up the floor. 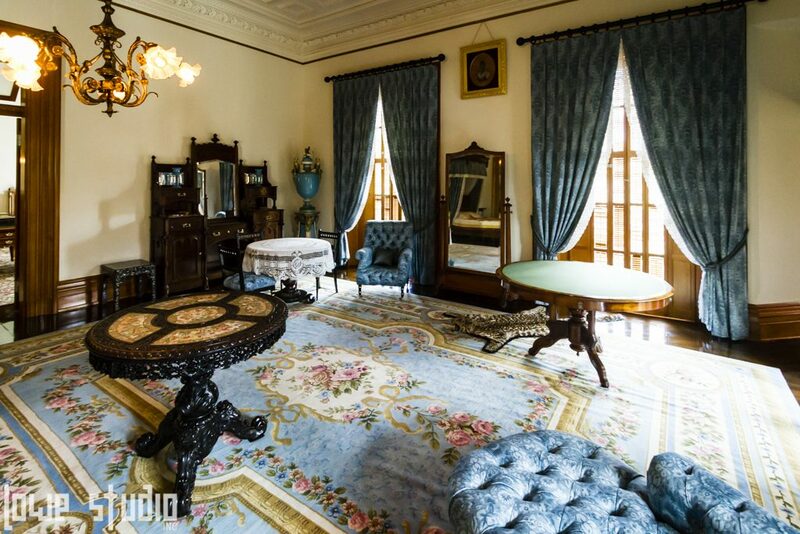 The King’s personal bedroom…they haven’t recovered all his original furniture since it was mostly auctioned off after Hawai‘i’s annexation. As lovely as the Palace was, it’s always sobering to remember that the Palace and all its history was not always happy. The overthrow of the Hawaiian monarchy and imprisonment of Queen Lilioukalani remain a very poignant and painful thing for many native islanders today. Royal throne room. It was awesome to be allowed to take photos in here. It’s worth taking a visit at least once to the Palace. I’ll probably find a chance to take my child…if I can get over the fear that he’ll knock something over.